Whether you are starting a career in physical therapy, or looking to improve your quality of life, Body Mechanix can help. You can come to a place where the cost of living is reasonable and your commute can be by foot or bike, if you prefer. You can have miles of hiking and mountain biking trails right out your back door. You can drive less than 15 minutes and arrive at any of four cross country ski trails - or an alpine ski hill - and meet some of the nicest folks you'll ever know. We're small-town, but with some city-style amenities. With two universities just three miles apart, the population has a high degree of education. The cultural opportunities are unsurpassed, including an impressive 1200-seat performing arts center at Michigan Tech. 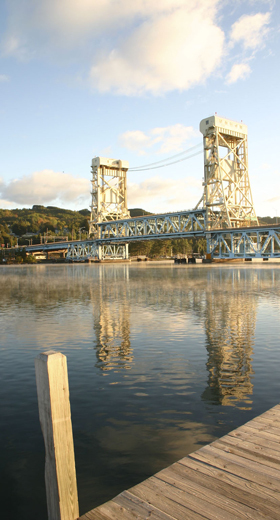 Upper Michigan brings an unsurpassed beauty, with four-season recreational opportunities. And what about Body Mechanix?